Maintaining your equipment is one of the most important aspects you need to take care of. Today’s digital world has made the task simple. The point in question is the CMMS Software. It has been one of the best options to manage your maintenance requirements using the computers and the Internet. 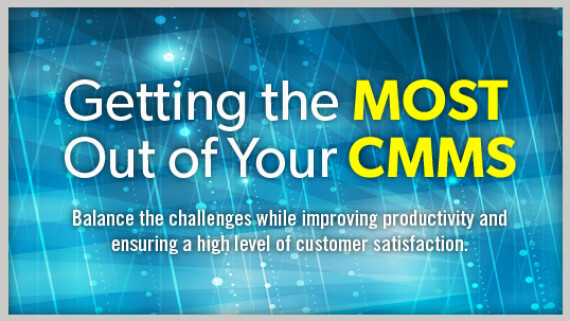 We will find out how you can make the most of the CMMS Tools. Well, as can be easily seen, CMMS stands for Computerised Maintenance Management System. It is also referred to as EAM – Enterprise Asset management. The tool lets you plan, manage, schedule and track the maintenance requirements you may have. It covers a wide range of functional areas like facilities, assets, equipment or vehicles. A CMMS software serves you as the central location wherein you can access all the information related to your assets. You should be able to monitor and record all the major maintenance activities at a central location. How can you get the most out of CMMS? The importance of Data – CMMS works the best only if it has enough data. Ensuring proper performance will need you to get data properly fed into the system. Training – CMMS is a little complex technology. Providing a proper education about the technology can be a great option. On the dot, training can help improve the efficiency of the program. Better Planning and Scheduling – Just by having the software installed and keeping it running may not yield the desired results. You will need to establish a proper plan and schedule. The software can only guide you on the proper maintenance practices, but actually doing it would need you have a proper planning. Proper audits – Conduct regular audits to ensure that software is being adhered to. Do not forget that CMMS is one of the most important assets you have and taking care of its proper up keeping is the need of the hour. Track the parameters – Your CMMS data will give you an idea and an insight into the condition of your assets. But, getting the data alone would not suffice. Measure the indices provided by the software and check for the scope for improvements if any. Compare the budget and costs – You can also use your CMMS tool to track the costs. That would be the perfect way to make wiser budgetary decisions. The success of a CMMS tool depends upon the way it is used to cut unneeded costs, at the same time improving the productivity. However, it has been observed that in most of the cases, the CMMS software is not found to give you 100 percent results. Paying attention to the above key areas can be helpful in getting an optimum performance from your CMMS tool. CMMS is indeed the new age tool that would go a long way in helping you streamline your maintenance management. However, how you take care of the software is what would help you in getting better performance in return. Do follow the tips we outlined in the above paragraphs and reap the benefits of the high-end tool. If you think we have missed any important aspect in terms of making the most of the CMMS software, we would welcome your inputs and we are sure that your feedback will help us improve the horizons of our knowledge.